Nursery service is available during the Sunday 9:00 a.m. and 11:00 a.m. Masses. Bring your child to our ancient Israel-themed nursery, where they will feel the presence of the Child Jesus. 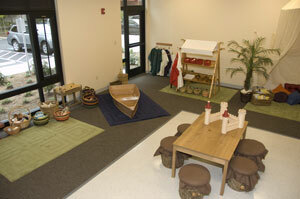 The nursery provides childcare for children age 6 months – 3 years. The nursery is staffed by paid and certified nursery workers. Pagers are issued to parents while their child is in the nursery. Registration forms are required and can be obtained at the nursery or by clicking here. For more info contact Karen Schweitzer at the parish office (425-822-0295) or karens@hfkparish.org.